How would you describe your family? I often find myself saying things like: “our family circus” or “our problem child” or even responding to someone’s question of how my day is with a phrase like “I would be better away from my kids right now”. Even if you’ve never voiced those phrases out loud, you can probably relate to them. Those responses may be great descriptors of how I feel in the moment, however, they don’t truly reflect the deep and genuine love I have for my family. The words don’t speak life or joy into our family. They don’t edify anyone or share the amazing qualities gifted to each of our children. They simply highlight the chaos and negatives about our family or the people that make up our family. 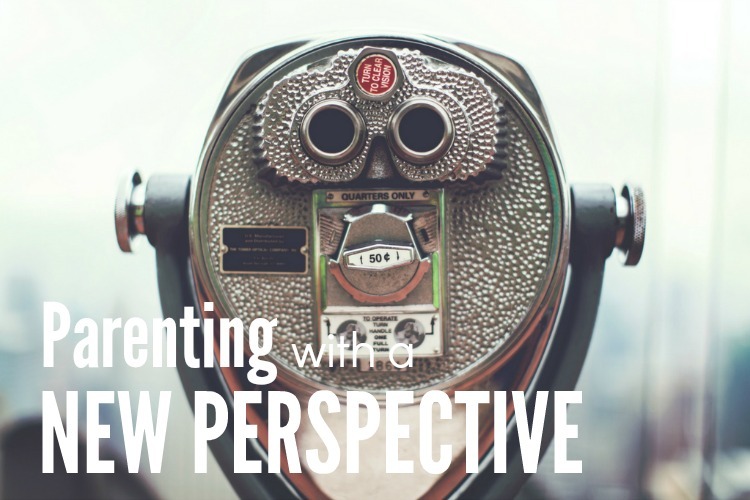 So… what if I changed my perspective of our family? 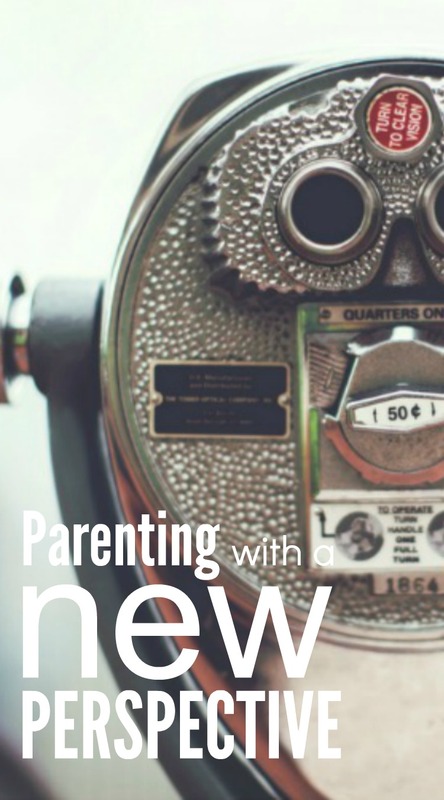 What if I changed my parenting perspective? When we focus on the negative and on our parenting challenges… toddler meltdowns, talking back, teenage emotions and raging hormones, sibling rivalry, all the “chaos” going on in our home… we become closed off to seeing the blessings in front of us. We bring ourselves more stress. We find more angst in our parenting. So seriously… what if you changed your perspective of your family? From the mother whose children are grown and gone. She may notice your child’s inability to let you focus on the task at hand or hear you ask them to stop doing something for the hundredth time. She may see the craziness that’s ensuing, the stressed and overwhelmed look on your face, but she longs for the days of being called Mommy and holding her little ones close. From your parent’s perspective. They know the struggles you’re enduring. But they see your family as their legacy. A generation they can nurture, help raise and grow. They have a second chance at parenting, one which allows them to slow down and enjoy the things they missed when they were “in the thick of things” being your parents. Your children are a generation that can tell their grandparents’ stories and continue family traditions. The couple at the restaurant watching your child. While you are peeved that your child has smeared spaghetti all over themselves, this couple could only dream of having a child. In the eyes of a barren couple, what is an irritation to you is a desire laced with deep sorrow. To all of these people, your children are a blessing. To you and I who are living in the midst of the “chaos”, we know our children are a blessing, but we are too close to see just how blessed we are. Click image for free printable. I thought you may appreciate it too! I adore this quote! So much so that I gave the words a little design flare and hung it on my office wall so that each day I am prompted to examine my perspective. Am I viewing my family based on our current situation and struggles or am I seeing them through the eyes of my heart? What if instead of seeing all the craziness, I embrace the liveliness and innocence of my boys? What if instead of bad attitudes and back talk, I acknowledge that there are so many teachable moments that I get to walk my children through? What if instead of being aggravated with the picking and poking and tattling between siblings, I find wonderment at how these little guys are learning tough life lessons with the people who love them the most? What if I slowed down and counted all the precious moments I get to encounter with them every single day? We’ve all heard the saying about parenting: “The days are long, but the years are short”. I have spent too much time wishing away those hard days of parenting. I don’t want to wait until my children are grown and out of the house to realize how overwhelmingly blessed I am by my role as a mom. Friends, I challenge you to push aside the negative and find joy in your crazy life. Count your blessings. Literally. Ask your children what their favorite things are about your family. It is amazing to see life through your child’s eyes. 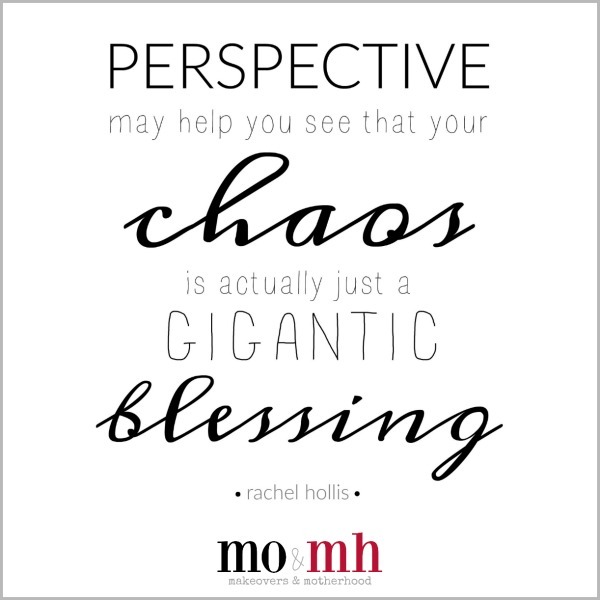 When you begin parenting with a positive new perspective, you’ll see that your chaos is an enormous blessing! "What if instead of bad attitudes and back talk, I acknowledge that there are so many teachable moments that I get to walk my children through?" This one statement hit me right between the eyes. Thank you, Alisha. Yes, it isn't always fun to walk our kids through these teachable moments, but I am the one who gets to do it. Not someone else who doesn't know my kids as well as I do. THAT is a gift. Thanks for the reminder.